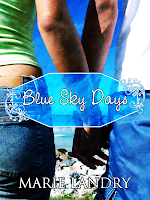 The Daydreamer’s Ramblings is something new I’m going to try here at Ramblings of a Daydreamer. It will range from discussion posts to rants to raves about my favorite things. I had originally thought of calling it ‘From the Author’s Perspective’, because I feel that I might have a bit of a unique perspective, being both an author and a book blogger. Most authors these days are bloggers, but few are book bloggers, so I thought I might take that perspective and talk about issues that bloggers are concerned with, but from the perspective of an author. I might still do that, but it will fall under the umbrella of The Daydreamer’s Ramblings, rather than having a bunch of different features to confuse you all! The first topic I want to talk about is book reviews and star ratings, something that affects both authors and reviewers. I had a discussion about this on Twitter a few weeks ago with several other book bloggers, and it made me curious how other people feel. As an author, I depend on reviews and ratings to sell books. Do the majority of people love it or hate it? Will people read the reviews and be convinced to buy the book, or give it a pass? I can feel good about the positive reviews, and take the negative ones as constructive criticism and work on those things in future books. 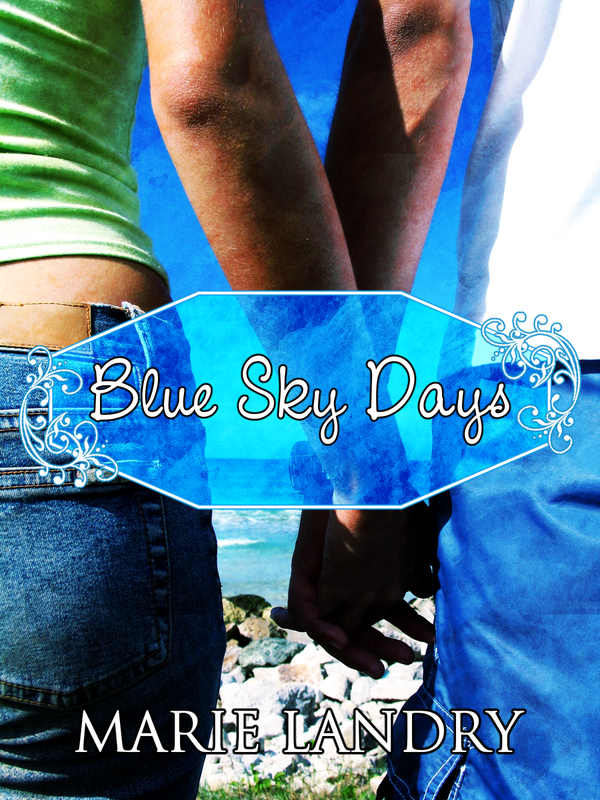 I’ll be perfectly honest with you, and tell you that if I could go back there are a few things I’d change about Blue Sky Days based on some of the reviews. It’s still my baby, I still love it, and I’m incredibly proud of it, but the majority of criticisms revolve around the same one or two things, so I would work on those. In that way, reviews are incredibly helpful for authors. Although there’s nothing I can do about Blue Sky Days now, I can keep those things in mind for future novels, and not make the same mistakes. As a reviewer, I don’t really read a review of a book before I read the book. Why? Because I don’t want to know anything about it - I don’t even read the synopses of books most of the time. I know that sounds bizarre, but it’s a system I developed several years ago, and it works for me. Once I’ve read a book, I might read a few reviews, and I tend to read reviews of good blogger friends out of curiosity and courtesy, but for the most part, I don’t put much stock in reviews unless the majority of them say the book is horrible. If a lot of people have an issue with a book, I think that speaks volumes. As for star ratings, I think they’re completely subjective. Some people are very tough and critical when reviewing books. I’ve seen tons of rave reviews where the reviewer gushes about the book, but then only gives it 3 stars. WTF? Then there are the haters out there, especially of independent authors. It is widely known in the indie community that there are jerks who have nothing better to do than go around GoodReads and sometimes Amazon, and give a ton of indie books 1 star to drag down their rating. I had this happen to me before Blue Sky Days was even sent out as an ARC - meaning nobody other than my betas, proofreaders, and editor had read the book, so what exactly was this person rating? When I looked at the person’s other reviews, I discovered they had gone through dozens of books and given them one star, and the majority of the books were by independent authors. I’ve had this happen since, and it makes me feel like crap. If a person read the book and genuinely hated it enough to give it one star, fine. It would still be upsetting, but I could respect their opinion and move on. It’s the people who are so miserable and petty that bother me. Get a life! After the last time this happened, I took it to Twitter and the people I talked to said they don’t put much stock in star ratings anymore because of the arbitrary haters, and because there are also people who do the flip side - friends and family who think they’re helping an author by giving the book 5 stars without actually reading it. What I’ve learned from this is that it seems to be the actual reviews that matter. If a person says they loved a book, did they say why? Ditto for if they hated it - why did they hate it? What were their favorite and least favorite parts? How did the book make them feel, and did it stick with them afterward? Those things will let you know if a person actually read the book, and therefore if their emotions and opinions are genuine. And even if the review was negative, it’s just one person’s opinion. I’ve loved plenty of books that other people hated, and vice versa. Also, you would expect a negative review to turn most people off a book right? Not necessarily - there are times when a negative review will make me more interested in a book, especially if the reviewer is ranting about ridiculous things, or turning the review personal. Now, my dear blogger and writer friends, I ask you this: what do you think? How much stock do you put in reviews and star ratings? Do you judge a book based on other people’s reviews? Do you still give a book a chance if it has an overall low star rating on Amazon or GoodReads? I’d love to know what you think! Reviews more than star ratings. If a person's just throwing out star ratings with no review, I don't think much of it. I move on to one that has a review. That absolutely makes sense. In February, I really wasn't feeling the books I was reading, so I read about half what I'd read the month before, because I just didn't want to read, and that's sad. Now when I get review requests, the first thing I do is go to GoodReads to see what people are saying before I respond to the author. Welcome to the internet. *shakes head* The moment you give people a way to be cruel without having to be accountable, they will take it. Do not let them get to you, Marie. Have they written a book? Have they even sat down and written a first chapter? Doubtful, if they have the time to waste giving random one star reviews and lack the talent, passion and integrity to talk about why they felt the way that they did. There are many reviewers out there who are not writers and I am not saying what I have to discredit them. You don't have to have written a book to appreciate the amount of effort, emotion and (ultimately) heart and soul that goes into it. But when someone trashes people, "Have you ever tried this, genius?" is my first thought. I just can't help it. Next up on the chopping block: the stories that touch us are a deeply personal and subjective thing. What moves me and what moves you may be extremely different. Even when we like the same thing, it is completely possible that we like it for different reasons. That is part of the beauty and magic of books. Long before I started doing book reviews, I studied and wrote reviews for video games. Gaming is controlled by cost and review study is a good way to access the risk of a purchase. There are some differences between books and games, but ultimately a review that is just a star rating is completely meaningless for either medium. That doesn't tell me how the game plays -- does the UI get in the way? How are the camera angles? What difficulty is this? Does it have a good cast of characters? LIkewise, if someone just one stars a review I learn nothing from their rating and disregard it. Was the hero abusive? Did the heroine make constant TSTL (too stupid to live) decisions? Was the dialogue crap? Was the setting poorly researched? If the reviewer does not tell me *why* they disliked the book their review has served no purpose. Also, do so without being a moron -- if you bash the author, make fun of their kid's teeth and say their husband looks like a goat I'm likely to stop reading! There's a quote from a Jewel song called I'm Sensitive that I really like. It says: "It doesn't take a talent to be mean." I agree with this very strongly. Yes, authors are artists and that means 'we need to have thick skin'. But there is a tremendous difference between being gracious and realizing not everyone is going to love your book, and having people think that you should not only endure abuse from internet trolls, but that by creating something (how dare you, huh? :D) that you've *asked* for it. Let me restate: for the most part, I feel that our book blogging community is a beautiful thing and I cannot *wait* to see what people think of my book, regardless of the end result. But when people stop being a reader, or even a reviewer / critic and instead take to being a bully, for me it all comes back to that core question: "If you think you can do it better, sweetheart, then why don't you give it a shot?" Anyway, this is long, ranty and snarky. But I am two days out from the end of a long singing contest and that has me on the edge, lol. So it's quite possible I've put more opinion out there then I normally would. I absolutely agree with everything you said, Kat! People can state their opinion without being cruel or turning into a bully. I know the internet gives us a sense of anonymity, and with that often comes power, but sometimes I think too many people use that power to do bad things. Your statement of “have you ever tried this, genius?” not only made me laugh, it’s totally accurate. It’s not easy being an author, and it’s not easy putting yourself out there. People say not to take it personally, reviewers aren’t criticizing you, but rather your work, well I do take it personally when someone is just being a jerk. I’d like to see them dedicate months of their lives to writing, revising, editing, formatting, and all the other things that go into writing a book. But yeah, for the most part these days, I disregard star ratings (except for my own lol) and skim the reviews. Even though they’re often subjective, like you said, and some books touch people on a deep, personal level that others won’t feel, I think you can get the gist of whether a book is for you or not. I look at ratings from bloggers I know and trust, as well as reviews from them and others. Goodreads is great for that. I can quickly see what everyone thinks of a book before I choose to read it. I agree that sometimes a negative review is more helpful. It usually tells you more about the book, as long as it is written respectfully and constructively. I have read books based on negative reviews before, sometimes to see if I agree with someone's opinion, or because they specifically pointed out something they didn't like that I know I do enjoy. I agree with Sarah. I read reviews from bloggers, but Goodreads and Amazon reviews hold no sway with me. A recommendation from a friend is a definate yes. I think that it is incredibly wise to avoid reading reviews on books that you know you are going to review. If I read a review that mentions specific problems, I am almost certain to then notice them when I read it. Originally, I wanted nothing to do with star ratings on my blog, but then had to admit that I like them myself. When I am looking for a good book I will often browse around for a 4 or 5 star review and then take the time to read up on the book.